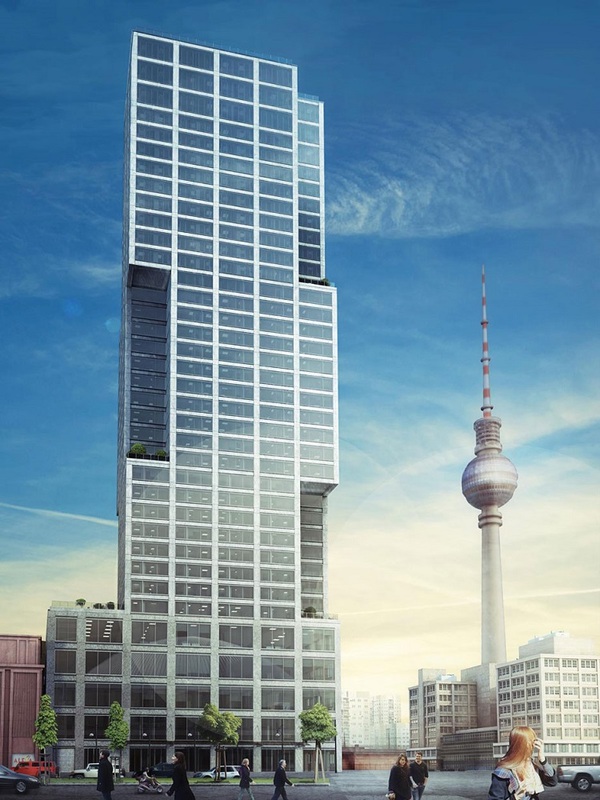 150-metre-high skyscraper in Berlin, which could become the city’s tallest building. It will be second only in height to the city’s 368m tall TV tower, Fernsehturm Berlin, built in the late 1960s. Alexander Tower development for German property developer Bewocon. The block will include 475 flats, plus six floors of retail and commercial space, a spa and gym facilities, a private cinema, and an underground car park. 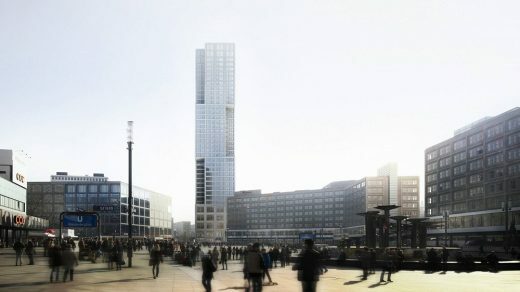 Designs for the 39 storey-tower were first revealed in the city’s masterplan back in 1994. 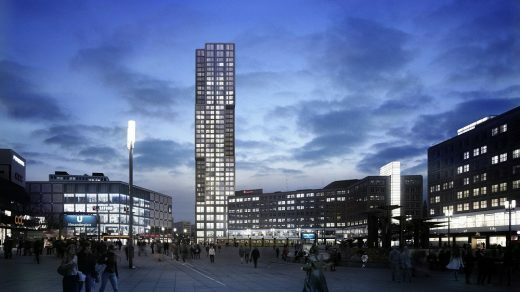 The project is part of an ongoing regeneration of the Alexanderplatz area of central Berlin. The master plan followed German reunification in 1990. Construction is due to start at the ned of 2016 and complete in 2019. 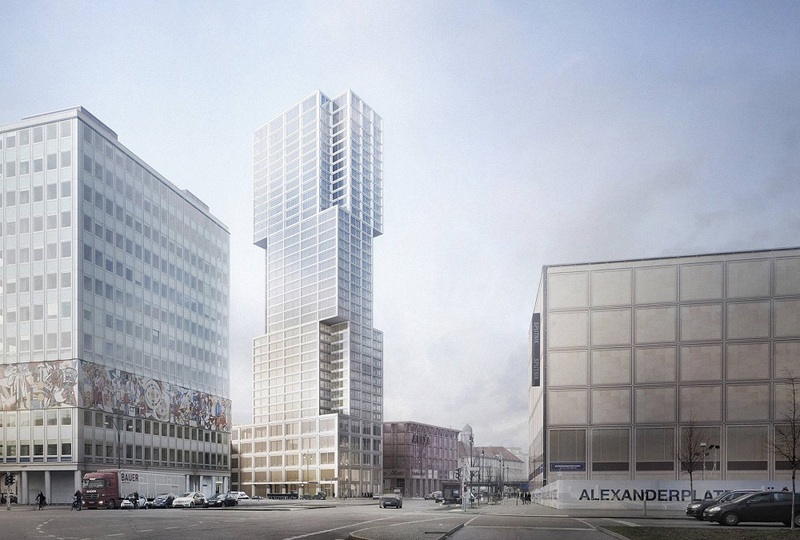 The Alexander Berlins Capital Tower would be 25m higher than the city’s current tallest building, the 125m-high Park Inn Berlin Alexanderplatz. 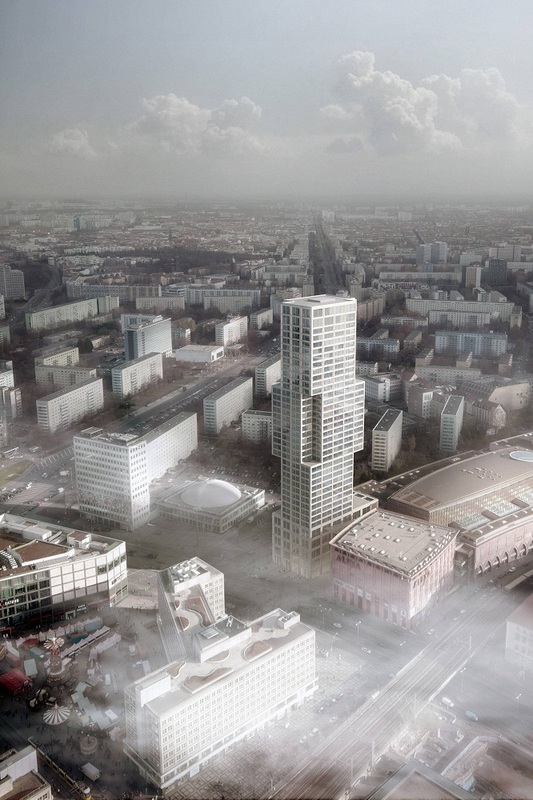 A 150m-high tower by architect Frank Gehry is also proposed in a separate development. 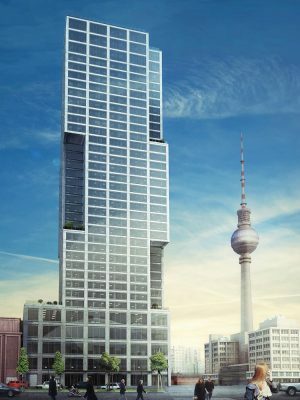 Located on Alexanderstrasse, the building is also known as the ABC Tower or the Alexander Tower. 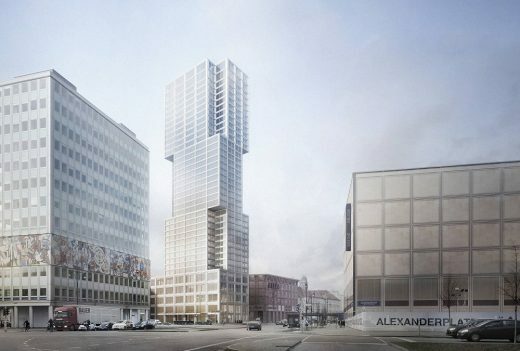 As the first high-rise the “Alexander” will mark the start of the development of Alexanderplatz, according to the architects. The design refers to Martin Wagner’s urban planning and the buildings of Peter Behrens who, as representatives of metropolitan modernity, shaped the character of Alexanderplatz.